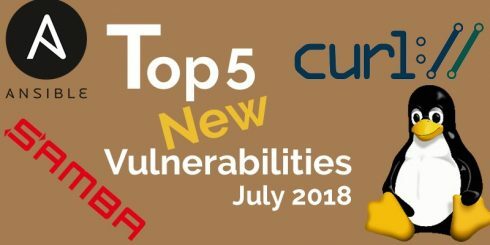 In addition, the company announced the top 5 new vulnerabilities for July 2018, which included the Linux Kernel, cURL, Samba, Ansible and libpng. More information is available here. The Julia language has reached version 1.0. Julia was designed as a high-level dynamic programming language with the ability to compile native code for multiple platforms. Version 1.0 of the language features a commitment to its API stability, making code written for 1.0 will continue to work in future versions, the team explained. Other new features the language introduces includes a built-in package manager, a new canonical presentation for missing values, ability to extend broadcasting to custom types, and named tuples. The open-source hosted Linux Foundation project, the Zephyr project, has announced new growth to its IoT ecosystem. The project announced support for more than 100 developer boards and the addition of six new members. New members include: Antmicro, DeviceTone, SiFive, the Beijing University of Posts and Telecommunications, The Institute of Communication and Computer Systems (ICCS) and Northeastern University. According to the team, when the project first launched in 2016, it only supported four boards. Today, it supports a variety of different boards and architectures with ARM, x86, ARC, NIOS II, XTENSA, and RISCV32 processor families. Codementor has announced a new center designed to help developers learn how to program with blockchain and keep up-to-date with the latest developments. The Blockchain Learning Center will provide a collection of curated resources including documentation, tutorials, frameworks, libraries, services and videos. “Whether you’re new to blockchain or have some familiarity with it, we have posts that cover everything from the basics to in-depth technical tutorials. If you want to learn about blockchain programming and how it works, be sure to read the ‘What is Blockchain’ articles. Once you’re ready to dive in further, we’ve gathered the best blockchain and Solidity tutorials,” the website states.